Premier Kitchen & Bath is a home remodeling company serving homeowners in Sun Lakes, Arizona, and surrounding communities. Our company was founded in 1994 and offers decades of experience in all tenets of remodeling – design, product procurement, and construction. Moreover, our process is all inclusive, meaning we will guide you through the home remodeling process from concept to completion. We begin each of our remodeling projects with a comprehensive discovery meeting, during which our designers will learn all about the aesthetic and functional preferences you have for your remodel. Afterwards, our designers will schedule a time to come to your home in Sun Lakes, AZ, or a nearby area to sketch, photograph, and measure the space you wish to have remodeled. Once all of the requisite information is collected, our designers will produce several design concepts for you, complete with product samples. Once you are satisfied with your new design, Premier Kitchen & Bath will produce a fully documented, well-planned, fixed-price proposal for your home remodeling project. After the proposal is signed off on, then the construction phase will begin. Our remodels are completed by trained, experienced remodeling professionals who will ensure that your project is completed to the highest industry standards. Our process, coupled with our commitment to providing high-quality craftsmanship, is a big part of the reason why we maintain an A+ rating with the Better Business Bureau. 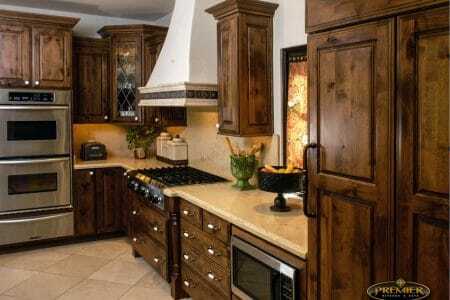 For more information about the home remodeling services that we provide, contact Premier Kitchen & Bath today. We proudly serve homeowners in Sun Lakes, AZ, and the surrounding communities.